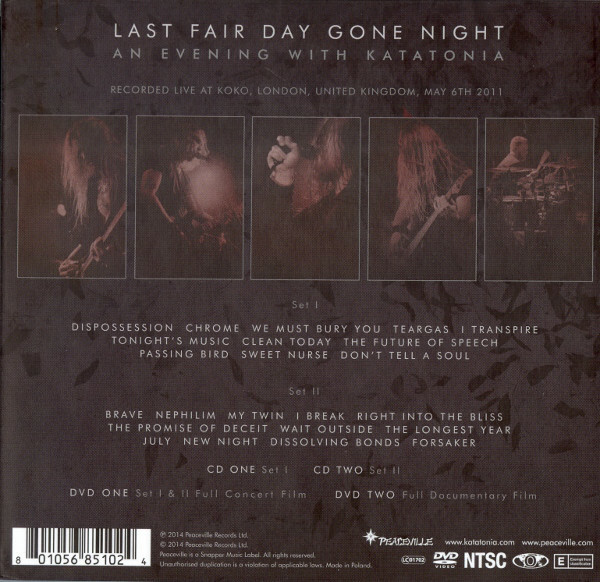 Last Fair Day Gone Night features the Swedish dark rock/metal masters at their glorious best with this electrifying set from Londons esteemed Koko venue during a series of special celebratory shows to mark the bands 20th anniversary during 2011s Last Fair Day Gone Night tour. Founding members Anders Nystrom and Jonas Renkse are joined by long-time drummer Daniel Liljekvist along with recent members – namely guitarist Per Eriksson, plus recently recruited bassist Niklas Sandin – for an exhilarating night fuelled by a rich and extensive set of Katatonia tracks both past and present, including a special performance of the landmark 2001 album Last Fair Deal Gone Down in its entirety. 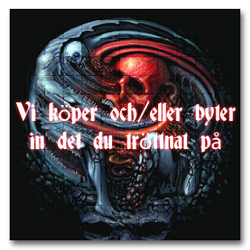 Katatonia was formed in Sweden in 1991. Their debut album, Dance of December Souls, was released in 1993, gaining the band recognition for their eclectic brand of gothic doom/death metal. 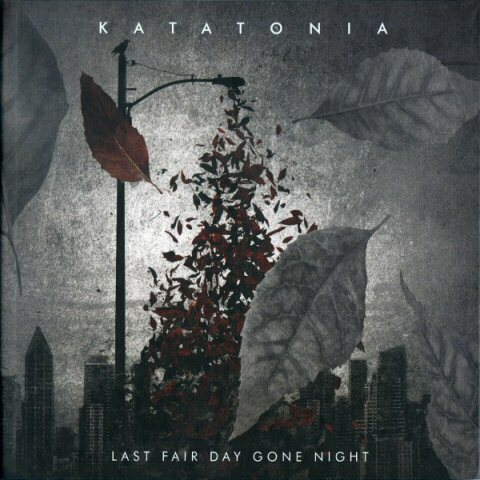 On future albums a newer, sleeker Katatonia sound came to the faore, starting with a streamlined and structured collection of melodic dark rock songs that became third album Discouraged Ones; the main evolution point for modern day Katatonia, where the band stand at the pinnacle of the dark and progressive rock genre.